Hi everyone! 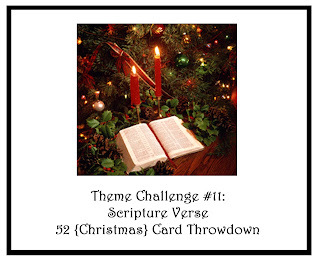 I wanted to make a card for this week's 52 Christmas Card Throwdown challenge, but I'm not feeling very well. I hurt my back when I was playing with my son last Wednesday and I've been in so much pain since, I can hardly move and my husband and older daughter have been taking care of me. I have another doctor appointment coming up and I'm hoping I will feel better by then. I promise I will try to make a card for the challenge, but in the mean time I wanted to share the challenge with you. 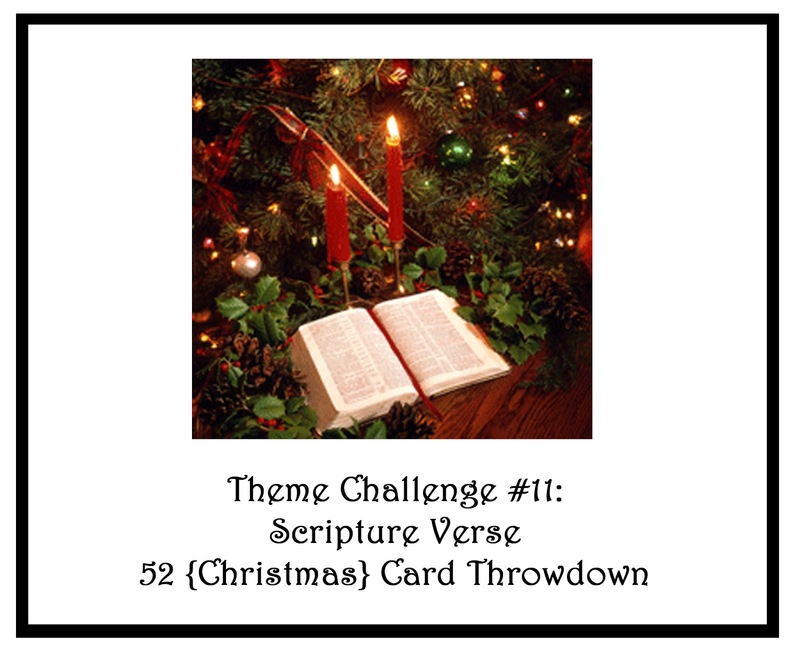 If you have time hop on over to the 52 Christmas Card Throwdown blog and check out our theme challenge this week, we are using scripture verses on our cards/projects. Enjoy the rest of your weekend and remember the Stampin' Up! online extravaganza begins on Monday morning! I have post all ready for Monday with more information about it. I'm sure hoping your back is feeling better--Thanksgiving is TOMORROW! HUGS and well wishes, Patty!